Come to our Annual Membership Social! August 17, 2014, 3:00 p.m. to 5:00 p.m. Learn how our projects are making a difference in conservation and how you can get more involved! 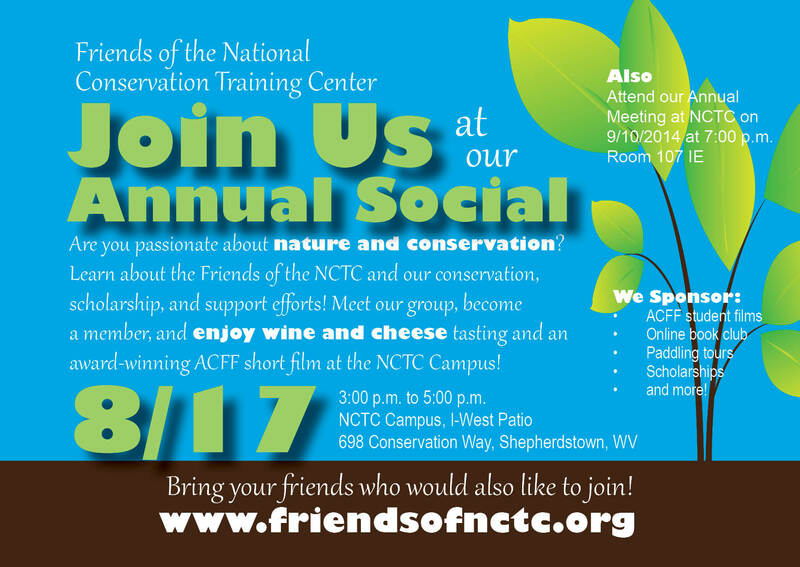 Enjoy wine and cheese, a short award-winning film, and receive a nature documentary to take home! Mike Shepp and Julie Laing standby to serve wine and cheese.